Forgiveness: Why I hate it and why I need it. As part of preparing for many of the messages on apologetics I have done a lot of reading. Much of that reading has taken me again and again back to the writings of C. S. Lewis. I mentioned in one of my messages an excellent introduction to Lewis titled, If I Had Lunch with C.S. Lewis by Alister McGrath. It is a great way to get started reading about Lewis and interacting with some of the ways he articulated the Christian Faith. Many people try to start by reading “Mere Christianity” and never make it through and then give up on reading this excellent author. This book is a better way to start. If you are already a Lewis fan, I would recommend reading a recent and insightful biography of Lewis by McGrath called C. S. Lewis – A Life: Eccentric Genius, Reluctant Prophet. This book is well researched and has some perspectives that I have not encountered in the many other biographies of Lewis I have read. One of those insights is the very troubled relationship Lewis had with his father, Albert Lewis. 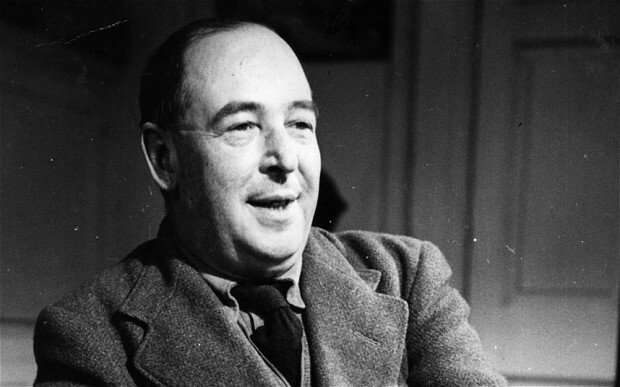 While both men contributed to the struggle it is clear that C. S. Lewis made very little efforts to mend that relationship. McGrath mentions that later in life Lewis wrote an essay on the topic of forgiveness that may reveal one little hint of insight into how the more mature C. S. Lewis felt about his fractured relationship with his father much later after becoming a Christian and maturing in his faith. I could not resist. I tracked it down and read the article. It was convicting. It was insightful. I recommend you read it to. I was not struggling with the issue of forgiveness; I was just interested in reading something written by Lewis I had not read before. Having read it, I suspect that I should be struggling with the issue more than I do. I offer it here for you to read yourself. I think you will be glad you did. We say a great many things in church (and out of church too) without thinking of what we are saying. For instance, we say in the Creed ” I believe in the forgiveness of sins.” I had been saying it for several years before I asked myself why it was in the Creed. At first sight it seems hardly worth putting in. “If one is a Christian,” I thought ” of course one believes in the forgiveness of sins. It goes without saying.” But the people who compiled the Creed apparently thought that this was a part of our belief which we needed to be reminded of every time we went to church. And I have begun to see that, as far as I am concerned, they were right. To believe in the forgiveness of sins is not so easy as I thought. Real belief in it is the sort of thing that easily slips away if we don’t keep on polishing it up. We believe that God forgives us our sins; but also that He will not do so unless we forgive other people their sins against us. There is no doubt about the second part of this statement. It is in the Lord’s Prayer, it was emphatically stated by our Lord. If you don’t forgive you will not be forgiven. No exceptions to it. He doesn’t say that we are to forgive other people’s sins, provided they are not too frightful, or provided there are extenuating circumstances, or anything of that sort. We are to forgive them all, however spiteful, however mean, however often they are repeated. If we don’t we shall be forgiven none of our own. Now it seems to me that we often make a mistake both about God’s forgiveness of our sins and about the forgiveness we are told to offer to other people’s sins. Take it first about God’s forgiveness, I find that when I think I am asking God to forgive me I am often in reality (unless I watch myself very carefully) asking Him to do something quite different. I am asking him not to forgive me but to excuse me. But there is all the difference in the world between forgiving and excusing. Forgivenesssays, “Yes, you have done this thing, but I accept your apology; I will never hold it against you and everything between us two will be exactly as it was before.” If one was not really to blame then there is nothing to forgive. In that sense forgiveness and excusing are almost opposites. Of course, in dozens of cases, either between God and man, or between one man and another, there may be a mixture of the two. Part of what at first seemed to be the sins turns out to be really nobody’s fault and is excused; the bit that is left over is forgiven. If you had a perfect excuse, you would not need forgiveness; if the whole of your actions needs forgiveness, then there was no excuse for it. But the trouble is that what we call “asking God’s forgiveness” very often really consists in asking God to accept our excuses. What leads us into this mistake is the fact that there usually is some amount of excuse, some “extenuating circumstances.” We are so very anxious to point these things out to God (and to ourselves) that we are apt to forget the very important thing; that is, the bit left over, the bit which excuses don’t cover, the bit which is inexcusable but not, thank God, unforgivable. And if we forget this, we shall go away imagining that we have repented and been forgiven when all that has really happened is that we have satisfied ourselves without own excuses. They may be very bad excuses; we are all too easily satisfied about ourselves. There are two remedies for this danger. One is to remember that God knows all the real excuses very much better than we do. If there are real “extenuating circumstances” there is no fear that He will overlook them. Often He must know many excuses that we have never even thought of, and therefore humble souls will, after death, have the delightful surprise of discovering that on certain occasions they sinned much less than they thought. All the real excusing He will do. What we have got to take to Him is the inexcusable bit, the sin. We are only wasting our time talking about all the parts which can (we think) be excused. When you go to a Dr. you show him the bit of you that is wrong – say, a broken arm. It would be a mere waste of time to keep on explaining that your legs and throat and eyes are all right. You may be mistaken in thinking so, and anyway, if they are really right, the doctor will know that. When it comes to a question of our forgiving other people, it is partly the same and partly different. It is the same because, here also forgiving does not mean excusing. Many people seem to think it does. They think that if you ask them to forgive someone who has cheated or bullied them you are trying to make out that there was really no cheating or bullying. But if that were so, there would be nothing to forgive. (This doesn’t mean that you must necessarily believe his next promise. It does mean that you must make every effort to kill every taste of resentment in your own heart – every wish to humiliate or hurt him or to pay him out.) The difference between this situation and the one in which you are asking God’s forgiveness is this. In our own case we accept excuses too easily, in other people’s we do not accept them easily enough. As regards my own sins it is a safe bet (though not a certainty) that the excuses are not really so good as I think; as regards other men’s sins against me it is a safe bet (though not a certainty) that the excuses are better than I think. One must therefore begin by attending to everything which may show that the other man was not so much to blame as we thought. But even if he is absolutely fully to blame we still have to forgive him; and even if ninety-nine per cent of his apparent guilt can be explained away by really good excuses, the problem of forgiveness begins with the one per cent of guilt that is left over. To excuse, what can really produce good excuses is not Christian charity; it is only fairness. To be a Christian means to forgive the inexcusable, because God has forgiven the inexcusable in you.